It’s no secret that this year’s Glastonbury Festival tickets are more sought after in 2017 than in any other year. With unprecedented demand causing See Tickets to have site issues in the main October sale, Festival tickets actually took longer to sell out than in the previous year. Now after 6 months of nervous waiting in the shadows of those lucky ‘chosen ones’ in October, it’s finally your turn to step up and get yours! We’ve compiled 4 reasons why YOU should be confident in the resale process and why the wait will have been soo worth it! In October 2016 during the Glastonbury Festival main sale the number of tickets you could get per transactions was 6, however last year in the April resale that number actually dropped to 4 per transaction. It caught a number of people off guard and I would expect that to be no different this year. Groups are then forced to make split decisions and this can also cause distraction and loss of concentration which ultimately can only benefit you .. so long as you plan for this eventuality. October saw many people trying to use Refresh apps and browser automation to try and cheat their way to success. These were largely reported to have been unsuccessful and many have speculated these were the possible cause of the issues many had with See Tickets. Many people reported pages not being able to load whilst connected to broadband, we heard overwhelming (anecdotal) evidence that people using 3G and 4G to connect were actually far more successful in getting tickets. I can personally reveal I managed to get my tickets using 4G which I tethered to my PC after wifi issues loading the page. I can also reveal that I know of at least 3 other groups that managed to get tickets using a 4G connection. Surely this is worth considering for the resale? The Foolproof Friends and Family plan is widely considered to be asking ‘too much’ of people but at the end of the day the more people and devices that are trying to refresh that page; the greater your chances of getting those prized tickets in the resale. Be sure to brief everyone in your ticket group to do the same so you end up with an army of Mums, Dads, Brothers, Sisters, Cousins, Aunties, Uncles and mates all supporting you in your quest for tickets. How many people are in your group trying to get tickets? What are your groups’ registration numbers and details? How many devices do you each have to try on? If someone has 10 and someone else has 1, divide them up between you. Have you all got enough available funds to make the purchase? That concludes our 4 Reasons Why You Will Get Tickets In The Glastonbury Resale. Good luck with securing your tickets and we look forward to seeing you at the festival! 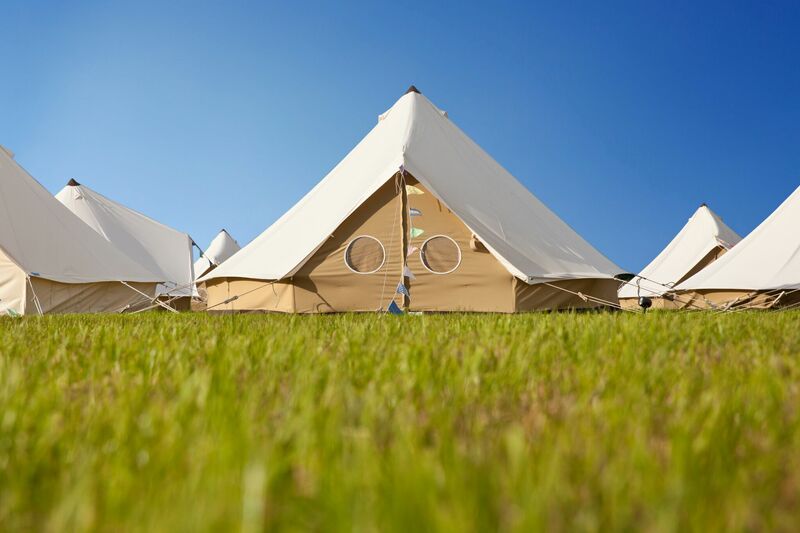 If you are looking for a luxury glamping experience during your stay at Glastonbury Festival then check out what we have to offer.